In any Highly Evolved Civilizations there are no Governing Bodies, whereby any sort of politics plays a part. Politics are non-existent! In the Cambridge Dictionary politics is described as “the study of the ways in which a country is governed or someone’s opinions about how a country should be governed or the relationships with a group or organization that allow particular people to have power over others”. All these definitions do not constitute begin part of Universal Law which is the next Evolutionary Stage for Mother Earth and the New Adam/Lilith Kadmon Human Race. All decisions are made by a Christ Council of 12 Beings, whom each contribute to the matters that relate to situations or circumstances, ONLY FOR THE HIGHEST GOOD OF ALL CONCERNED. Because there is no ego personality within a Christ Council, the result is the 13th Member; the 12 +1 Principle, which is made up of the Highest Choice, Will, Solution or Resolution possible. 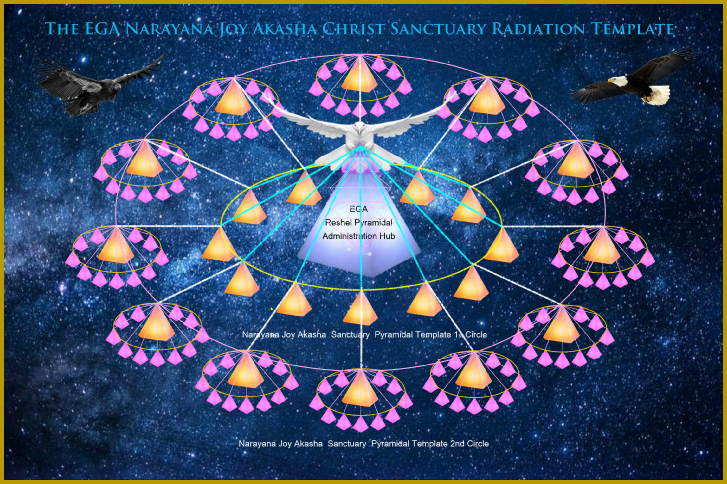 This Template is seen on the next website page ‘World Narayana Joy Akasha Sanctuaries & Reshel Radiation Centres’. Each Member of the First Council has Their Own Council of another 11 Beings. The decision made at the First Council is then shared with the Second Council and those matters relating this Level of Society then equally shares each Level of Their own environment and surroundings. 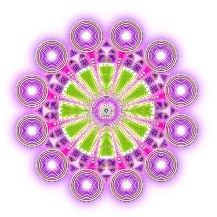 This, result then, flows outward to the next Circle and so forth. There are vast amounts of levels, depending on Levels of Christed Consciousness, from Human, to Planetary, to Solar System, to Galaxy, to Universal and to Cosmic. All with multi levelled layers or dimensions of Divine Consciousness. In the same way as the Governing bodies of a Community, Planet, Solar System, Galaxy Universe or Cosmos, flows outwardly, it can also flow inwardly or up the Chains of Vibrational Frequency. Just like the Hierarchy do in the Higher Realms of God’s Universes. Today here on Earth we have access to all these levels of Divine Consciousness again now, but little in known about the physical Manifestation of such things here upon what I call Ground Zero. 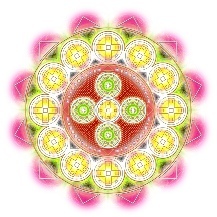 The Templates then, are copies of these Divine Sacred Geometries from the Higher Realms, presented once again for Human Souls to Manifest in an entirely different way for an entirely different reason or Purpose. How this shall work in practice in the short term, only time will tell. But we are being Divinely Inspired and Guided to fully manifest once again but with entirely New Dynamics to introduce and interact with. The Intergalactic Dimensional Bodies and Intelligences are now waiting to descend upon Earth and these New Structures shall begin the New Programs of Inter-dimensional Shifts in Consciousness and Physical Inter-relationships and activities with Them. So in the diagram above, the EGA Reshel, the White Pyramidal Structure is the Principle Head Office, the Administration and the Primary Narayana Joy Akasha Sanctuary for the EGA. 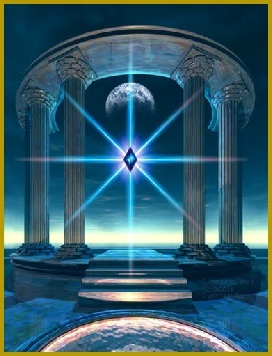 The yellow Pyramids are the first levels, set out in the same or similar way representing the 12 Divine Rays as set out in the EGA Discourses that all link up to the Primary Reshel Station, but on a much smaller scale. The pink Pyramids are the second levels much smaller again. And so it will continue. No sizes have yet been determined and all this is very much a trial by experience to begin, due to humanity’s separation from the Divine Consciousness that supports all of this Knowledge and the Universal Laws that must be applied. We have been told this could take up to another 40 years to Perfect, but we must begin now! "This Principle is a Feminine Principle in Nature providing all the Divine Virtues and Qualities. It Works in direct relationship with the Divine Masculine Virtues and Qualities, but not in a way that is presently understood within the world Spiritual Communities." “This understanding begins with the I Am Presence. That is the beginning. Only then can this understanding be shared, complemented and supplemented in a process of growing. It is important to move forward as if it is already in place. Manifesting is born from strong belief. This narrative and visual presents a clearer vision of what is required. Principle is defined as "a fundamental truth or proposition that serves as the foundation for a system of belief or behaviour or for a chain of reasoning." The Eagle and The Condor References.